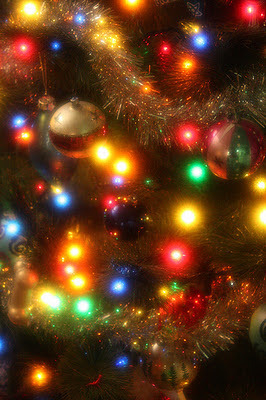 1099 Top 10: You CAN Have a Stress-Free Christmas! Is it possible to have a stress-free Christmas? Yes. And Dainty Mom has a fabulous, quick list of tips to help ensure it happens. If you aren't looking for a full-time, work-at-home career, but just need a little side-hustle, Wise Bread has you covered with these jobs for stay-at-home Moms and Dads! Even the most experienced bloggers have a lot to learn! Thankfully, the good ones (like The Work At Home Wife) don't mind sharing the most important lessons. You can never have too many go-to resources in your toolkit for finding work to do at home. Real Ways to Earn Money shares reliable sites to help you in your search. It is possible to quit your day job and make MORE money working from home. Crystal from How I Make Money Blogging gives us all the amazing details of where her money is coming from! If heading to the store once a week sounds like your idea of a meal plan, you'll love these recipes that make five meals from one list, compliments of All You! Having a hard time finding a film that the whole family will agree on? This list of top 25 kids films (that won't drive parents nuts) from Working Mother is a winner! Can't wait to get that tax refund this year? According to Don't Mess with Taxes, upgrades to the IRS systems could make for a speedier return in 2012! What happens when you combine the fun of eating monkey bread with the flavor of your favorite pizza? You get Frugal Upstate's delicious recipe... try it for supper tonight! Join us and other money bloggers for an amazing roundup of advice and observation: Help Me to Save lists many valuable resources in this week's Totally Money Carnival! *Photo by anneh632 via Flickr. Thanks for the mention, Linsey! And also for the other great reading material :) Excellent post!